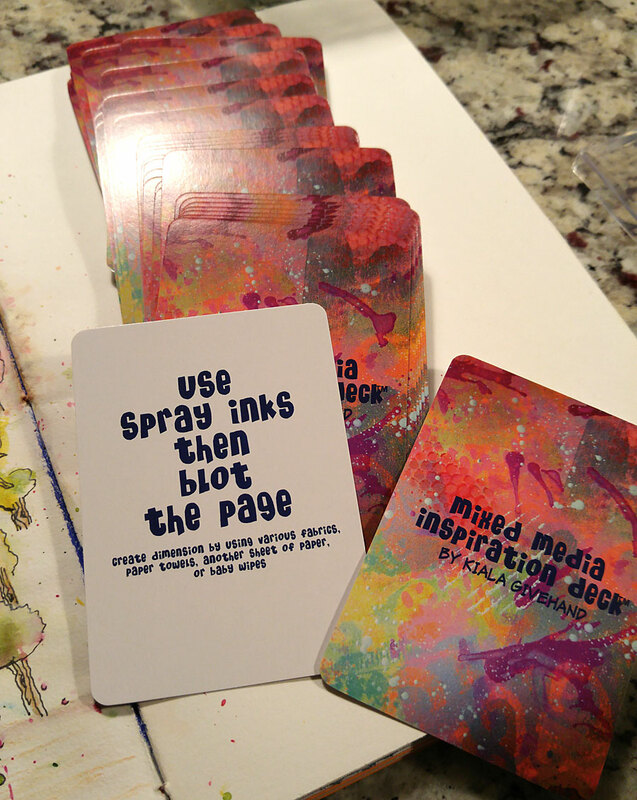 Hello tangling and artsy friends… stay with me here: I’ve packed alot into today’s post!! 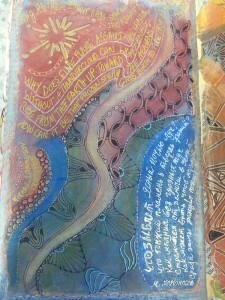 The Journey Within: A Year of Handmade Art Journals hosted by book maker, Kiala Givehand plus me and 17 other artists. The class begins January 1st* continues thru 2016. 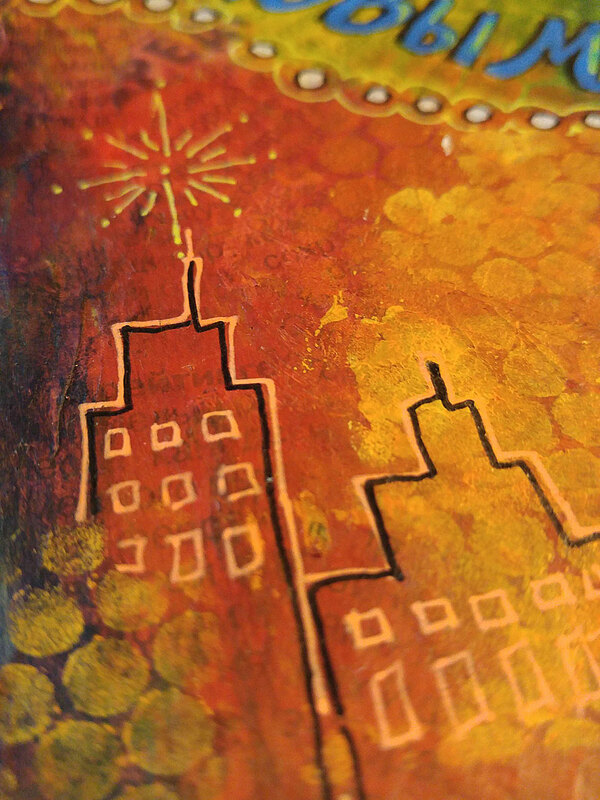 Every month, Kiala will teach you to make a new handmade art journal – a different one each month! Ready to start now? 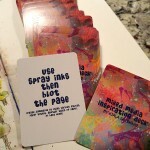 She’ll also give you prompts, tips, and techniques for filling the pages, and the guest artists will be sharing their take on the themes and prompts with plenty of videos, as well as their art journaling process and you get to make 12 of your own books. To get the fun times started, Kiala created a Dos a Dos book structure for December and asked each guest artist to give her a challenge to complete. 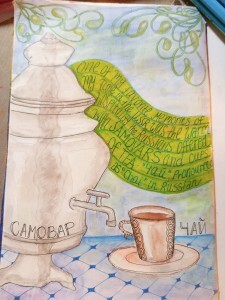 Create a page inspired by a foreign language or your cultural heritage. Use any combination of words, fonts & letters, poetry, newspapers, art inspiration from the language or culture as collaged bits and/or painted or stamped layers. 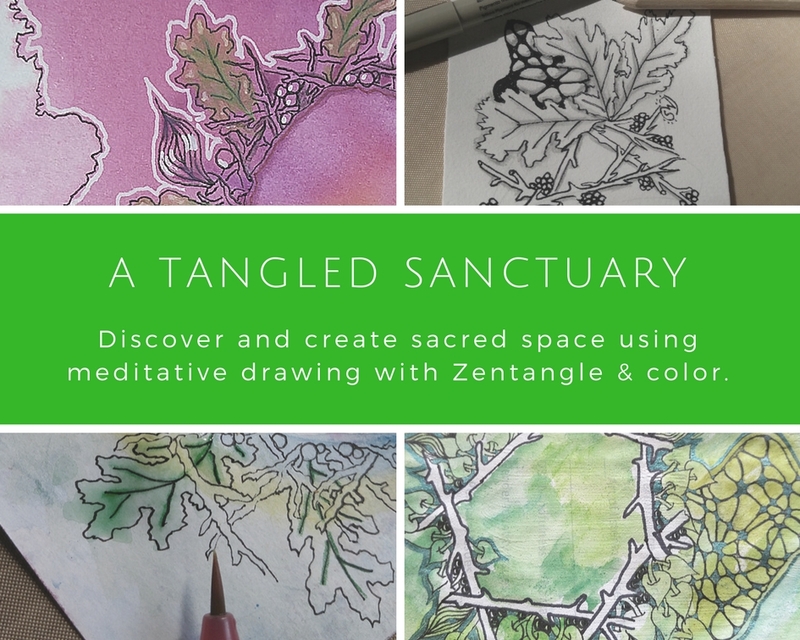 Add some Zentangle inspired art or pattern art to highlight a section or shapes. 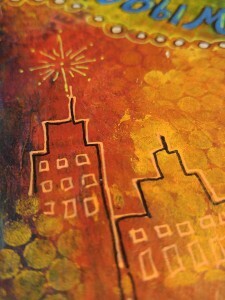 You can see how Kiala took on my challenge over on her blog hop page HERE…. 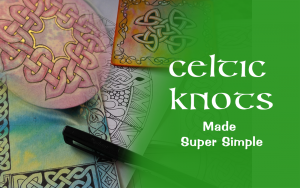 DOWNLOAD: And here’s a Bonus resource pdf for you to download with a bit more story and language / Zentangle resources – then scroll down to read more! The three pages above were created over the last couple of years and were the inspiration for my challenge prompt. Since I have some Russian in my ancestry and studied the language in college, it was an easy choice! 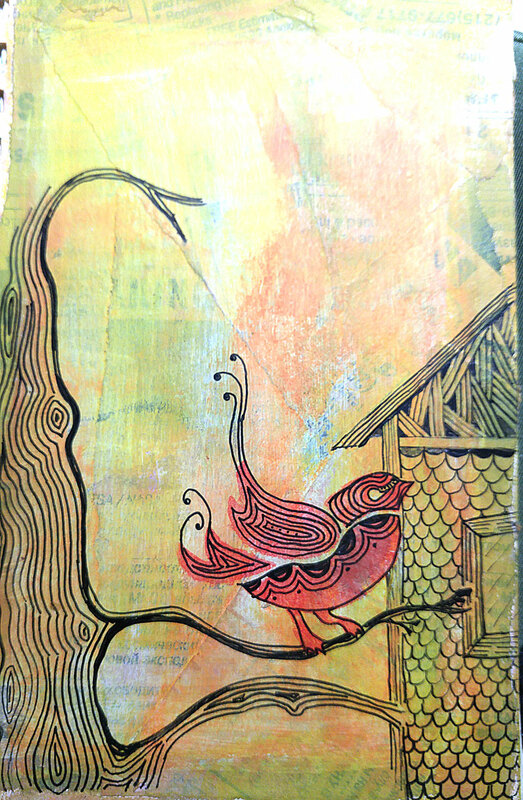 I used bits of Russian newspaper as the starter background for the bird image, added acrylic paint, the bird stamp, hand drawn tree and house embellished with Zentangle. 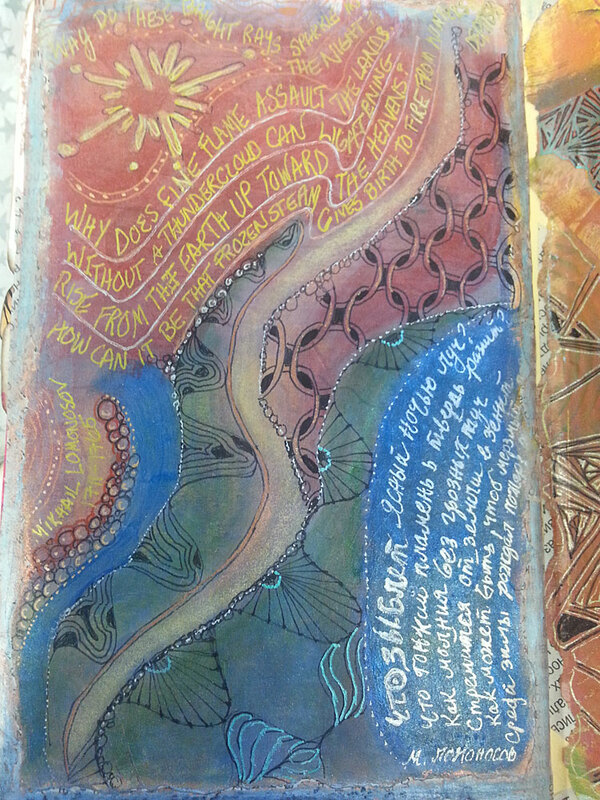 The other two pages made use of Russian handwriting and poetry, lots of acrylic layers and gel/metallic pens with more Zentangle patterns. 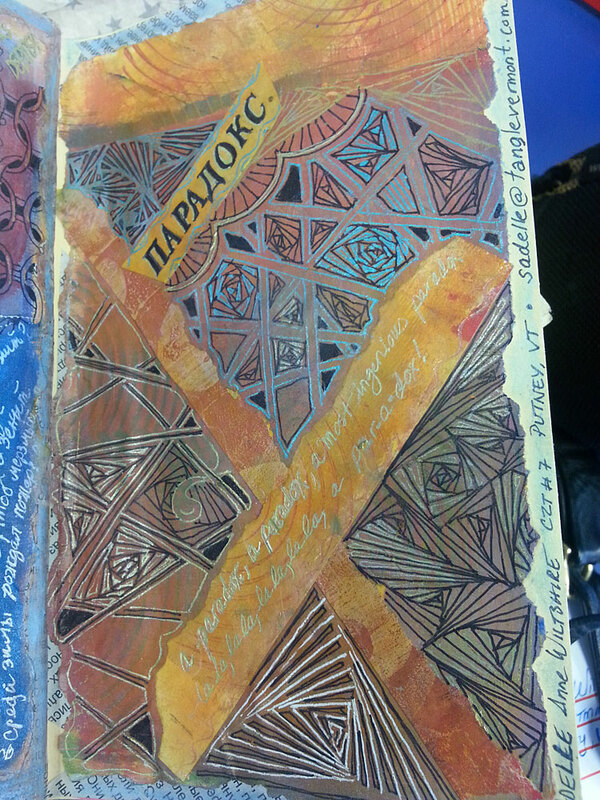 Then, I was so inspired to stretch myself a bit more for this month’s challenge, I created three new journal pages using the prompt, still sticking with Russian: two using collage, acrylics with Zentangle gel pen work and one watercolor sketch with tangle patterns and journaling. 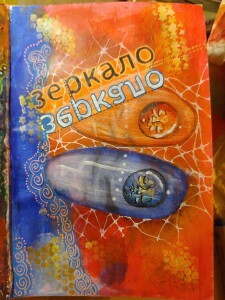 The page to the left was inspired by one of the December Mini Course words, “Mirror”. I played with mirrored swaddled jewel babies and mirrored colors that are opposite each other on the color wheel. Here the Russian word for mirror was created in Photoshop, turned upside down for the mirror effect, printed out and then painted with acrylic and collaged in place. 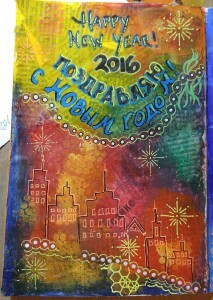 The other acrylic below left was created over torn Russian newspaper anticipating the new year. 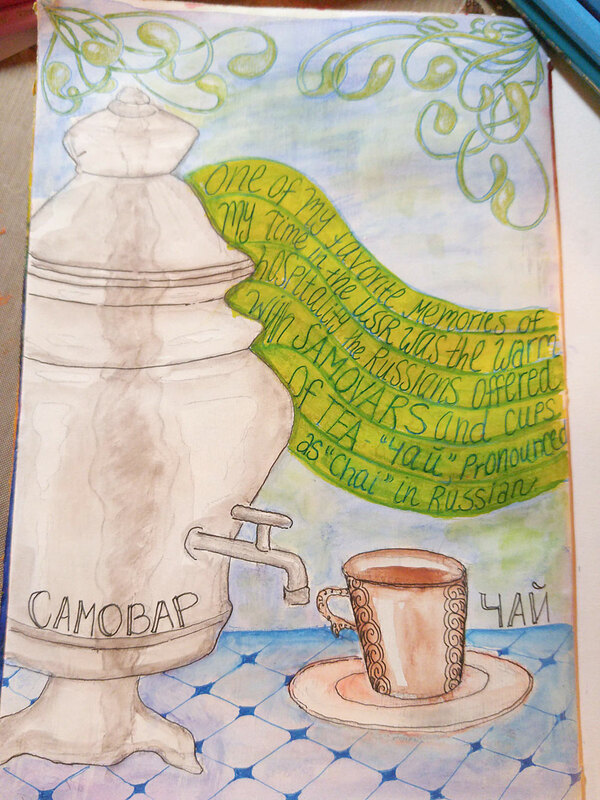 Finally, my other love, playing with watercolor pencils, a watercolor sketch inspired by a memory from travels in the USSR over 30 years ago and my love of Russian samovars and tea, with some actual real-like journaling :-). So how about YOU? Are you ready to take the challenge? You don’t need to know another language to play. Maybe collage in some elements from your own heritage, or a great grandparent’s language… or even a culture that is not your own, but one you love. 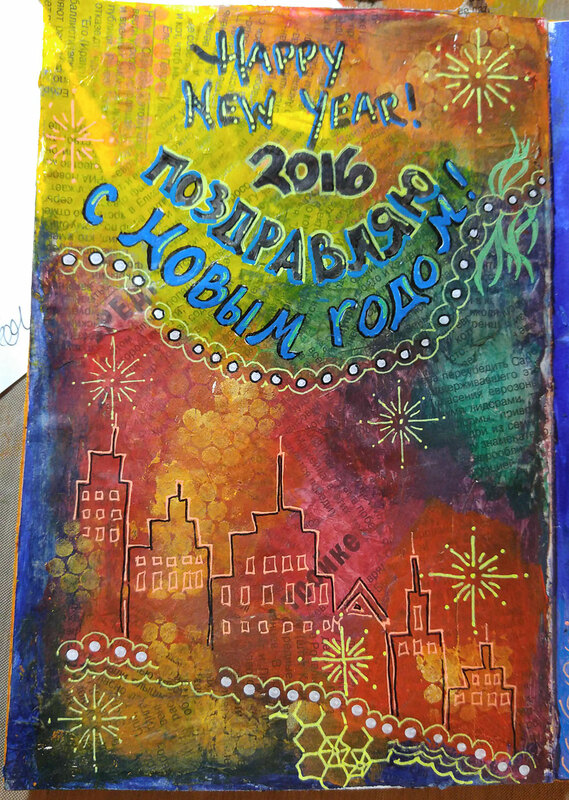 Come join us for this amazing and FUN adventure and have your most creative year yet. CLICK HERE to learn more and sign up for the class. 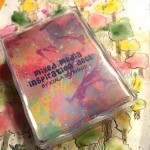 Congrats to Ann-Lynn W. of Georgia for winning the Mixed Media Cards! 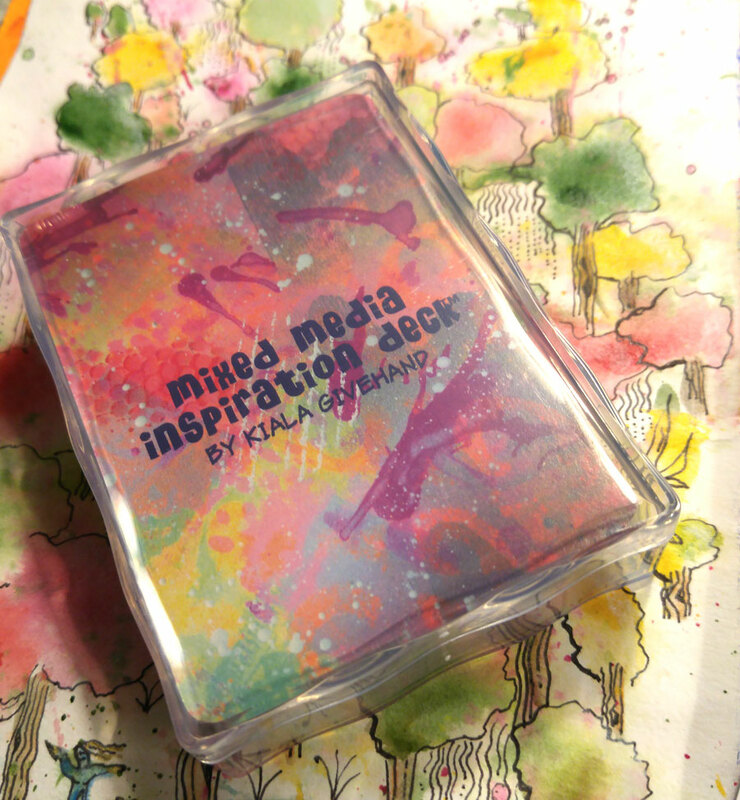 And if you do decide to try the challenge I gave Kiala, I’d be delighted if you’d leave a comment with a link to your blog or to the page you completed so I can see YOUR lovely creative work! 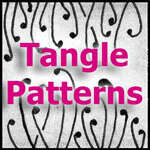 Do you follow TangleVermont on Facebook? Or on Pinterest or Twitter? Congrats to Jane R. from Michigan! If you would still like to share about the course, there are many ways…. Go to the TangleVermont Facebook page, Like Us and then Share my challenge post with your friends or in a group you participate in. Find me on Pinterest, or share this pin >> on one or more of your Pinterest boards. Share this blog post on Twitter, tag me @sadiavt, #JourneyWithin2016. 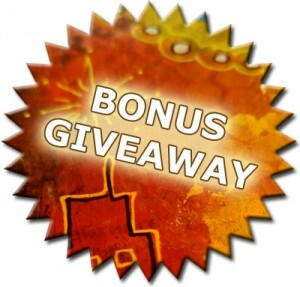 This giveaway ended on Dec 27th. 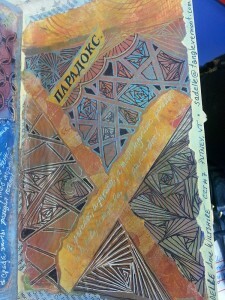 This entry was posted in Art Journal, Art Workshops, Challenges, The Journey Within, Zentangle Inspired Art (ZIA), Zentangle® and tagged art journal, art journaling, book arts, bookbinding, language. Bookmark the permalink. Pinned this photo and posted below it about the giveaway. Thanks Char! Pleased to meet ya. Glad you found me here. Congratulations on your journal project.